An MOT test is required by law on all vehicles in the UK that are 3 years old or more. The annual inspection follows strict criteria set out by the DVSA that determines if your car is fit for purpose and in roadworthy condition. 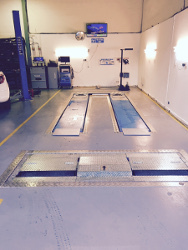 The MOT test covers a broad range of vehicle safety checks including lights, tyres, seatbelts and emissions and can only be carried out by an MOT garage with DVSA-approved examiners. If your vehicle does not meet the standards required, costs will be discussed with you and agreed before work takes place. We will never surprise you with unexpected bills. Enter your details below leaving your Name, registration plate and contact number and one of our colleagues will get back to you as soon as possible.